Hello everyone. I don't really collect flashlights but this one seemed so unique and cool I had to give it a go. It feels really nice with the matte finish and is a good weight. It is now my main EDC piece. It is fairly new but has anyone else got their hands on one, if so what do you think of yours? First look makes me think glowing chapstick lol. Cool little flashlight though, if I bought it I could imagine using it as a beacon or marker of some sort! Yeah definitely. What I found really neat was being able to switch between lantern with the magnet and torch, plus all the modes appealed to me. It really does look like chapstick lol. Check it out next my actual lip balm they look so similar. It only cost me around $25. It's a cute little light though, I like the magnetic tail cap feature for hands free use! Nifty! It would be good for doing work on my car. Its small enough to fit in cramped places and the magnetic cap means I can attach it to almost any surface in my car. Magnetic tailcap: "Allows for quick attach to any metal surfaces" - yeah, right. I gave it a try around the house. While not connecting to everything it did with the majority of metal I have around. If you're in a situation where you need hands free and there is some metal it'd likely stick to it. Magnets can attract only iron, nickel, cobalt; and some alloys of rare earth metals. Most common non-ferrous metals such as aluminum and copper will not be magnetic, so it's not the flashlight's fault. Some alloys of these non-ferrous metals might be slightly magnetic but probably not enough to hold that flashlight. Ferrous metals are what magnets will stick to, common ones such as steel, cast iron etc. But is it any good as a torch when pointing at things, or solely a very wide angle lantern? 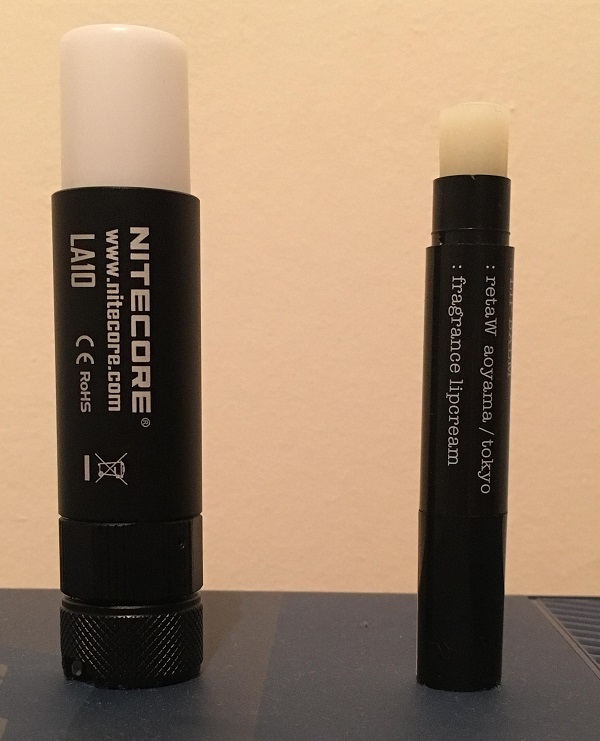 I ask because the light emitting part somehow seems to recess, or is that just a protective cap you take off and stick on the battery end when using it? Neat it has a beacon so if you break down and have to look at your car at night this way people will see you from a longer distance. Not incredibly bright, but a good backup in case you end up on the side of the road without battery power to run the hazard lights.